Allied Enterprises has been giving solutions to cinema exhibitors such as PVR, INOX, Fun, Carnival, Big Cinemas, Wave, Platinum, Satyam, Cine Grand, etc for design and equipment for audio, Video and 3D since 2009. We are now catering to more than 3500 screens in and around the country for different range of products. With all the right exposure and expertise our team also provide customized and turnkey solutions for theatres, cinema equipment, cinema design, and personal and commercial home theatres. Our mission and key to our success is providing best movie going experience to end customer(We being amongst them as well). From design to installation, every step of the process can be handled by Allied Enterprises’ team. Each member is regarded as one of the best in their respected trade. Ours is a family owned and operated business that prides itself on customer service, close customer relationships and professionalism. 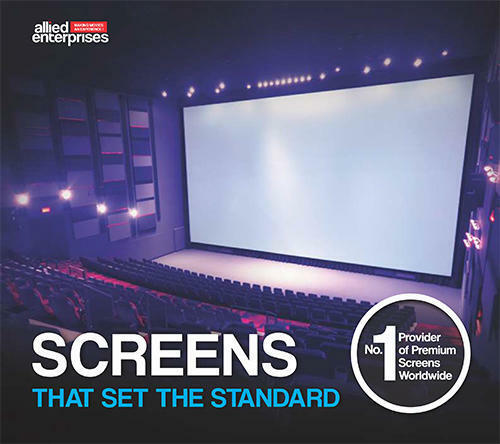 Allied Enterprises is partnered with Strong|MDI screen solutions to provivide customized solutions for exhibition theatres/Cinemas. We have all range of screens, such as white and silver, for all type of applications, such as 2D and 3D movies. Power 1.4 kW to 7 kW. 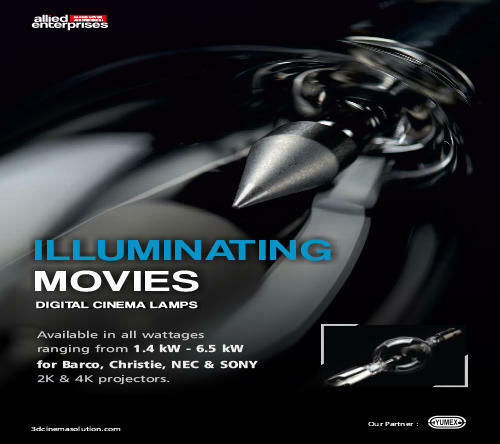 Allied Enterprises is Partnered with Yumex Inc to provide the right solution for lamps digital cinema projectors such as Barco, Christie, NEC Sony. We have lamps ranging from 1.4 kW to 7 kW. GXM is a company that supplies, installs and does technical services on 3D system. 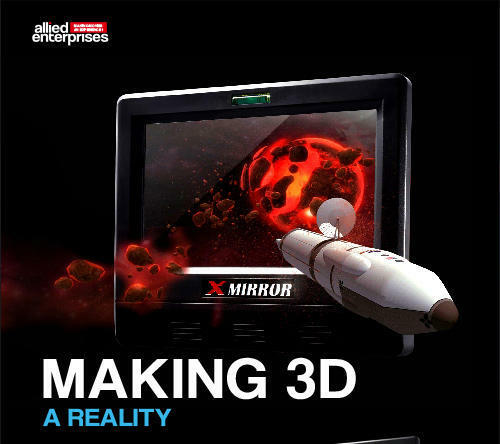 We provide a 3D system called "X-Mirror", and it is Hollywood studio qualified with reliability and quality certified. Our 3D system provides High-Definition display with 100% digitization that allows the audiences to experience the reality. And, X-Mirror can be installed on all kinds of projectors that are out, and our 3D system can be installed within 10 minutes which is best for user convenience. Last but not least, the conversion from 2D to 3D is fully automated. We also have 3D glasses that do not need the battery, thus no additional manpower is needed, so it is cost efficient. The design of the glasses is light for user to feel comfortable. The developer for X-Mirror is 3D Global, and they have high-end technical skills and experiences; furthermore, we have established a firm cooperative relationship which results the exclusive supply agreement. 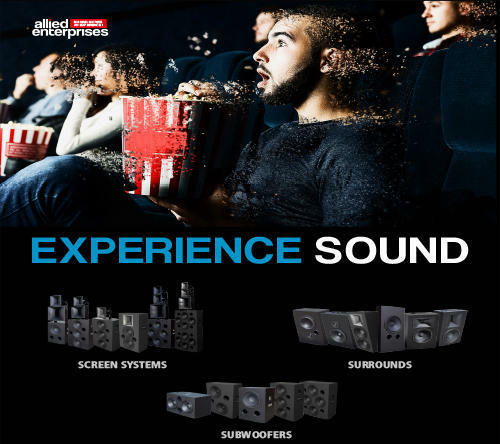 Allied Enterprises is partnered with KRIX to provide cinema goers the most immersive sound experience. Learn more about Krix. Krix speakers have been used in over 3000 screens, in 30 countries worldwide. From its early days the company introduced ideas for professional cinema sound that had never been seen (or heard) before, and Krix continues to innovate today, being at the cutting edge of the latest ‘3D immersion sound technology’, working with Dolby to develop speakers specifically for the new Dolby Atmos format, and recently installing over 50 full Dolby Atmos theatres featuring surround sound with up to 61.3 channels of sound. WALL OF SOUND Krix’s professional cinema work began in 1980, when Scott Krix was invited to solve an acoustics problem in the auditorium of the Capri Theatre in Goodwood, South Australia. His solution of an Infinite Baffle Wall was unique, never before used anywhere in the world, and news of the innovation soon reached the ears of the major cinema chains in Australia — Hoyts, Greater Union and Village Roadshow. It wasn’t long before Krix Speaker Systems were supplying speakers and building Infinite Baffle Walls into theatres all over Australia. By 1990 some 250 cinema screen installations had been undertaken, boosted by the growth in multiplex cinemas around the country, and soon by the innovation of surround sound. In 1993 Krix received THX accreditation from Lucasfilm in the USA for its cinema surround model, the KSX-1, and subsequently for an extensive range of models. Exports of Krix cinema speakers began in earnest, with shipments being sent to New Zealand, Singapore and Thailand. In 1996 Krix was the first company in the world to introduce a dual 18-inch subwoofer model to the industry. WORLD-FIRST RANGE OF FOUR-WAY SCREEN SYSTEMS A further innovation was delivered in 2004, when after three years of development, Krix became the first company in the world to release a comprehensive range of 4-way cinema screen speakers. A well-designed 4-way system can further separate the bandwidth of a film soundtrack, spreading it over additional custom-designed speaker components to improve clarity and power handling of a system. Boosted by this world first, Krix’s installations continued apace, with supply of speakers to Hoyts Melbourne Central and Blacktown in 2005 taking the number of cinema screens in Australia using Krix to more than 650. The following year, 2006, saw Krix finalising distribution in Japan with Xebex Corporation, whose engineers visited Krix for product evaluation and training. Two large Krix installations followed in Kawasaki and Saga. Allied Enterprises is partnered with Eugenetek to provide digital cinema solutions to theaters across the globe. 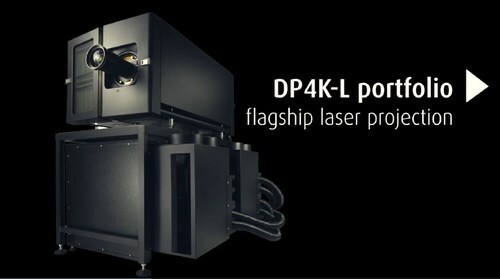 We provide solutions for Barco, Christie, Sony, Panasonic and NEC projectors for Cinema theaters. 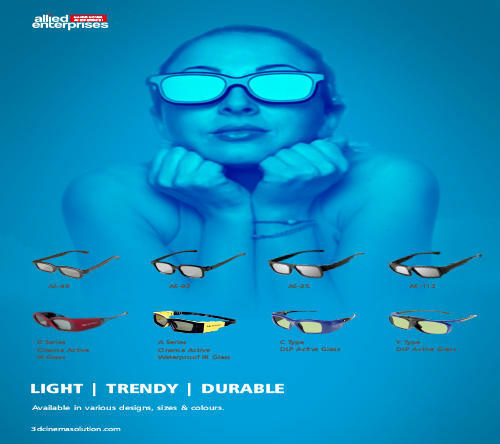 We are the largest suppliers of 3D glasses in India for both active and passive technology. We have been supplying 3D glasses to PVR, INOX, Cinepolis, Carnival, Rajhans, Fun, Satyam, and many more exhibitors in the Indian market. Looking for “Cinema Audio Video Equipment”?